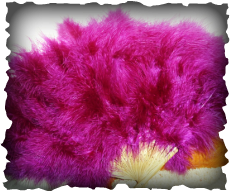 feather fans are particularly popular! Enjoy moving creatively as part of a group, explore non-verbal connections with others and learn to trust your own creative impulses using simple, easy movements adapted to your own body. Music, props (such as balls, scarves, hoops, fans and other objects), poetry, art and group ideas and suggestions may be used as inspiration to move individually, with a partner and as a group. No need to be fit, flexible, co-ordinated or to have had any previous dance training or experience - all are welcome! Creative dance has been shown to have excellent results for people living with chronic health conditions affecting mobility, balance and co-ordination. If you have any questions or concerns about how this form of dance and movement may be able to help you, please contact Jo-Anne for details. Classes are usually held in the daytime and are fitted around term times; occasional half-day and day workshops can also be booked. Participant Jenny says "I have Parkinson's Disease and I'm amazed by how I'm able to move so much more freely with the music and props - it's as if by not "trying" to do something and just moving creatively, it frees me up. It's been a revelation." A group choreography can also be created for performance - both in public and for private parties! 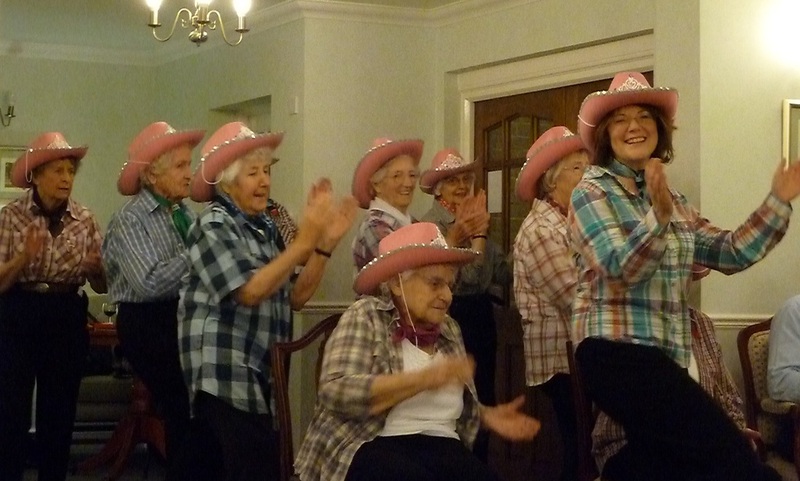 Here, "The Altogether Girls" perform a line dance specially choreographed for an American-themed party. Ask for information on creating your own group's dance performance! Zest for Life helped to organise the Beechwood to Bollywood dance event that took place in the Beechwood Arcade in Cheltenham town centre to raise funds for Cheltenham-based para-athlete Mel Nicholls, who races in a wheelchair called Dolly! For more information on Mel's progress, go to www.melnicholls.co.uk and for future Zest for Life dance events, take a look at our news page.